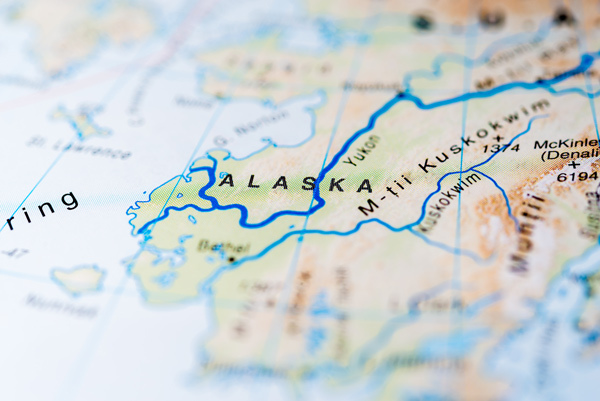 Take it from us: Alaska is a very large place with a climate that varies depending on what part of the state you’re in. 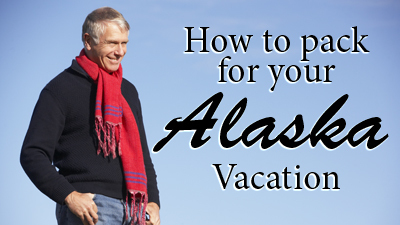 On a Holiday Vacations tour of Alaska, we’ll be visiting three different regions, each with their own unique climate. In this blog we are going to highlight the weather conditions of these regions and give some helpful tips on how to pack for warmth while enjoying the many sights and experiences this land has to offer. The three regions of Alaska we’ll visit include South Central, where our tours visit Anchorage, Girdwood, Whittier, and Seward. These cities are mild by Alaskan standards, but the temperature tends to be chillier due to the cool ocean breezes. You can expect temperatures from the high 40’s to mid 60’s during the months we visit. Farther Southeast is the Coastal Temperate Rainforest, home to Ketchikan, Juneau, Skagway, and the calm, pristine waters of the Inside Passage. This coastline of hilly coniferous forests is as mild as it is rainy. (In Ketchikan, yearly average rainfall is more than 150 inches!) While the likely hood of rain is greater, you can still expect temperatures from the high 40’s to mid 60’s during the tour season. Guests also visit Alaska’s grand Interior, where it is warmer than you might think. Occupying the state’s central and eastern regions, the Interior is nestled between mountain ranges and includes the communities of Fairbanks, Delta Junction, Tok, and Whitehorse. These mountains make the summertime warmer than in other Alaska regions. Here we’ll find the state’s broadest temperature averages in the summer months with lows in the low 40’s to highs in the mid 70’s. For more information on Alaska’s distinct regions, TravelAlaska.com has a great map with lots of additional information on the subject. Click here to learn more! Alright. Let’s review some packing tips! Less is more, right? The same goes for your luggage. Pack a few comfortable outfits and don’t worry about wearing them a couple of times – your traveling companions will be doing the same. Many hotels and our cruise ship, Holland America Line’s ms Volendam, offer laundry services or coin-operated machines. Not all cruises provide this opportunity! Keep in mind you may want that extra space in your suitcase for the souvenirs you will want to take home. As the day goes on, Alaska’s weather and temperature can have some variability from high temps and clear skies to drizzle and chilly wind gusts. Each morning we encourage you to wear multiple light layers and remove them as needed. We suggest putting on a t-shirt or another comfy wearable for your first layer, then something for warmth like a sweatshirt for your second layer, then put on something that will protect you from the elements, like a jacket, for your third layer. This may go without saying for guests living in wintry climates, but for those of us in America’s Sun Belt, you may want to bring something to protect your hands, neck, and ears from the elements. 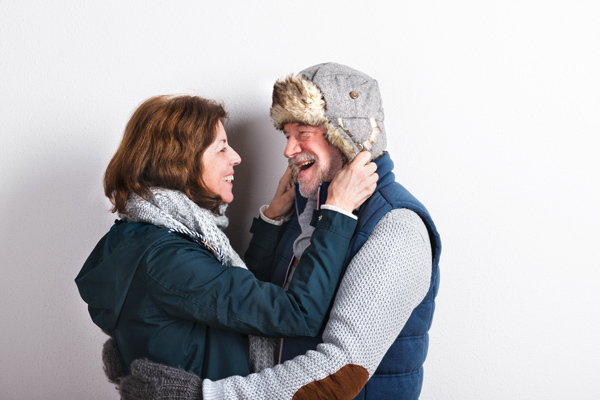 You won’t be spending too much time outside at any given time, so even inexpensive gloves, scarves, and winter hats will serve you well. Nothing ruins a vacation faster than feeling uncomfortable. While you may be tempted to buy new shoes or boots in advance of your Alaska vacation, we encourage you not to. Wear good, sturdy shoes that you already know are comfortable for walking. Our Alaska itineraries are fairly casual, so you do not have to reach for your hiking boots when packing. However, if you are planning on going off the beaten path during your free time, you may want big rubber boots, or at the very least, water-resistant footwear. Relaxing out on the cruise ship’s balcony decks is a good experience as long as you are prepared. Any glacier experience on tour may have cool breezes, so prepare yourself by bringing a jacket that repels both wind and rain. Specifically, consider a polar fleece or a hoodie for layering. WHAT ELSE SHOULD I KNOW ABOUT CLOTHING ON THE CRUISE SHIP? 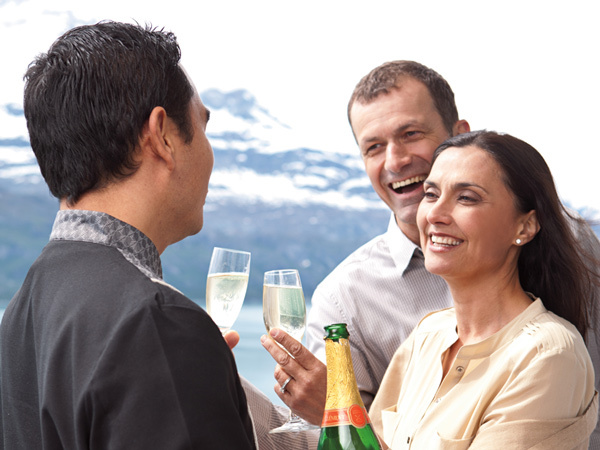 Your Inside Passage cruise will include a gala night – a festive evening featuring special menus in the dining room and photographers capturing special moments around the ship. Don’t be intimidated; this evening’s dress code has relaxed over the years. You do not have to bring a business suit or ball gown, but you should consider wearing non-athletic shoes. For MEN: No sport coat or tie is required; khaki pants and a long-sleeved, collared shirt will work well. For WOMEN: A pretty top can dress up a pair of black pants, especially paired with a scarf or other accessories. 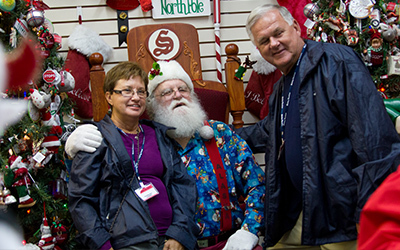 If you forgot that favorite hoodie, parka, or another item, there are plenty of shops nearby throughout your tour that may have what you are looking for. If you need help, just ask your friendly Tour Director.